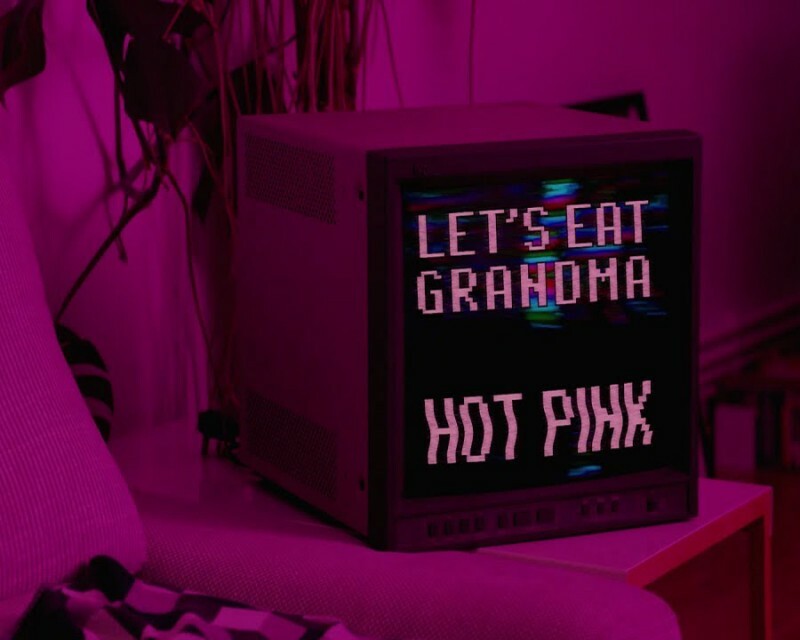 One of the vital bands of our time, the incredibly talented Let's Eat Grandma returned with the single Hot Pink last month and the comments about it have been amazing. "a juddering neon bright return"
Today, there is a video for the song to watch directed by Balan Evans and produced by Try Hard - who also recently made Gengahr's Before Sunrise video! "We're trying to navigate through a city where people's perceptions of reality are becoming more and more distorted in the fear that we'll end up the same way." "Quite often when I'm coming up with ideas it's just one image that starts the process. In this instance, it was the pixel stretching, there was something intriguing about it, enjoyably off, from that point you have a small foothold on which to build. The song had a really strong digital feel, so I wanted to input that into the aesthetic. The image of a tall building with a strong coloured light was something from an old memory that has stayed with me, and it felt like a fun idea, another building block." The band have announced a show at Heaven in London for September. Tickets to all their UK and Europe dates are available below. Get a copy of I'm All Ears on CD or yellow LP.